One day a smart professor in a large prestigious university had a brilliant idea. The professor needed money to refurnish a home and sought the most lucrative and productive source. Not surprisingly, he focused on his own talents and powers. That day, the professor announced to the class a new grading process: Grades will be auctioned to the highest bidders! A number of students were delighted. It gave them an opportunity to raise their overall grades, and their parents would be happy to pay a higher price as compared to the amounts that others offered. Besides, some students could buy the grades from those students who paid more, and create a market. This, after all is the American way. Other parents, who could barely afford to send their children to the renowned school, were less enthusiastic and some were down right angry. But who were they to complain? They said nothing. Not long thereafter, other professors, who liked to be paid more (no matter how much they were paid) made similar arrangements. The practice that started with an innovative and bold professor spread around fast. After all, “everyone was doing it.” The university managers watched the trend with interest. It seemed that the more the professors earned from selling the grades the more opportunity there was to reduce the professors’ salaries. But not yet: especially when the professors who were earning the most from grade auctions were also the most popular, and drew more applications by new students. Other professors were not slow to catch up. If the renowned university professors do it, then everyone will do it as well; and the sooner the better. Thus, the practice not only spread around very quickly but became the acceptable norm as well. However, the employers began to discover that the applicants with the highest grades were not necessarily the best and most talented applicants. The employers began to discount the grades (and even the Renowned University that produced the applicants). The employers established many tests to determine the quality of the applicants’ proficiency. That system was far more costly than relying on the grades, as they had done in the past. Yet, it has produced better results. As grades’ values deteriorated, and especially as the salaries of the professors began to fall with the amounts they earned from grade auctions, a professor at a less renowned school decided to avoid payment and advertise the fact. Employers evaluated this professor’s grades higher. They did continue, however, to evaluate the reputations of the universities as they did in the past (in conjunction with the grades). Other universities then realized that applicants might seek schools whose professors graded according to quality rather than according to the amount of money students and their parents had and paid. Employers sought such schools, and the practice of auctioning grades began to weaken and become increasingly limited until, years later, it disappeared. Under the surface, there were still some die-hards, but they were mainly the administrators of the schools, rather than the teachers. The number of these types of money-based acceptances was quite limited (and the price was high). The second professor agreed that the practice was not desirable. However, there was no need for law. After all, the market took care of the problem. Did it not? The employers found out that the grades misrepresented the quality of the students’ performance, and began to mistrust the grades. The professors began to lose part of their salaries and were unhappy as well. At the end, the selfish incentives of both parties drove them to revert back to the rightful and truthful behavior. There was no need for law. Law is unnecessary and expensive. 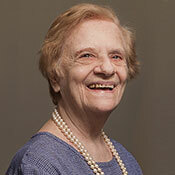 Tamar Frankel is a Professor of Law Emerita at Boston University School of Law. Professor Tamar Frankel writes and teaches in the areas of fiduciary law, corporate governance, mutual funds and the regulation of the financial system.